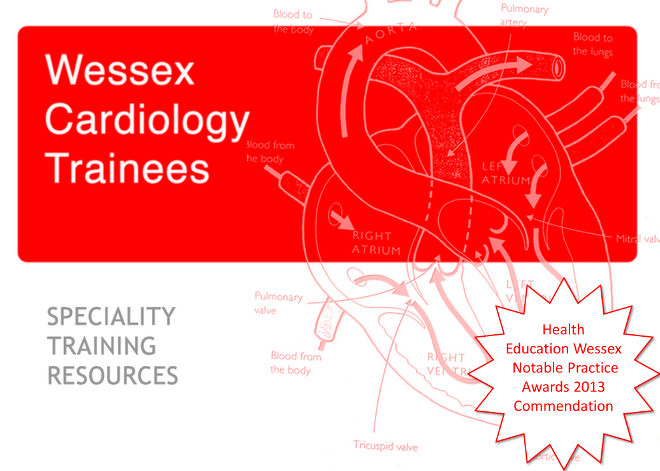 Dr Andrew Flett and Dr J P Carpenter would like to invite Wessex Trainees to the inaugural meeting of the newly formed South of England CMR Group. Prof. Sven Plein, from Leeds, will be talking on "State of the Art in Perfusion CMR". This will be followed by a buffet and some drinks, after which 3 clinical cases will be discussed. Kick-off at 18:30 at Southampton General for an anticipated finish time of 21:30. The event is free, courtesy of Medtronic, but requires registration here. Cases for discussion are encouraged to be submitted to Dr Flett. It would be great if people could give support to this new venture, which is offering a rare and valuable training opportunity in imaging.